Drinking Pure Water never looked so good! 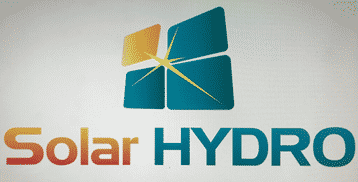 The SOLAR HYDRO LOGO vinyl decal measures appx 8″ wide x 3.8″ tall and features solar panels and groovy colors. Apply to glass, metal, plastic, or where ever you like!